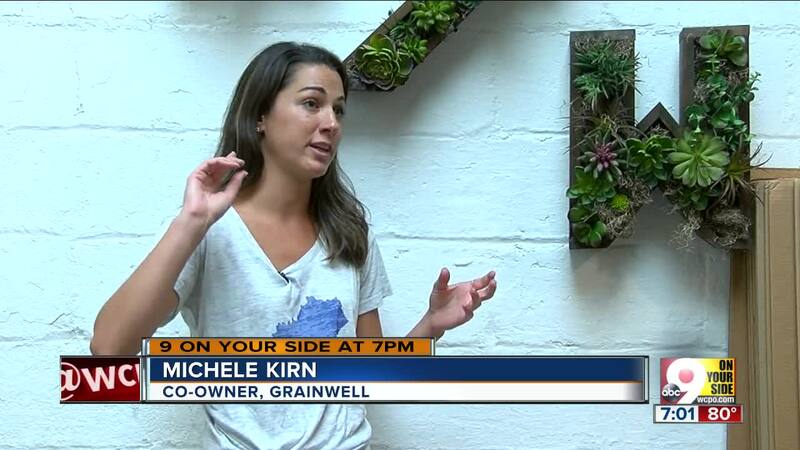 COVINGTON, Ky. -- When Michelle Kirn smelled burning plastic inside her workshop on Aug. 8, she didn't immediately realize the upper floor of Grainwell was on fire. 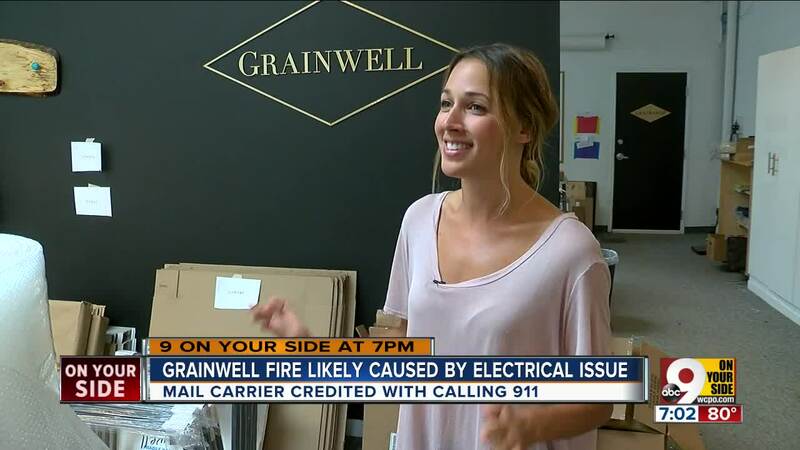 If not for the quick intervention of a passing mail carrier who spotted signs of fire from outside, she said Friday, the damage to Grainwell -- a shop that creates and sells customized wood products -- could have been much more severe. "He looked like he was in a frantic, like, panic," she said. "He runs in and says, 'Did you know your building is on fire?'" She didn't. The smell of burnt plastic was similar to the smell some machines in the workshop make while they're running, and it was close enough for her to make the mistake of ignoring it until he came in. Kirn and the mailman grabbed everything they could, including the three dogs who had been inside the workshop, and got out safely. Melyssa Kirn, who co-owns the shop with her sisters, found out about the blaze via a text message that sent her into "panic mode." "'Like, what?'" she remembered thinking. "'Are you serious?'" They were, and the fire set the sisters back. Materials were damaged or destroyed; they lost about four days of production. However, they were back open by Friday, and both Kirn sisters acknowledged the situation would have been much worse without the help of a passerby. "We're blessed that he was just around the corner," Melyssa Kirn said. "It's kind of a miracle that it didn't get worse."